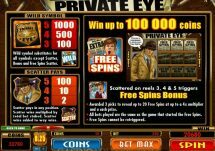 Private Eye slot as you would imagine is a Microgaming 243 way game themed on the world of the Private Detective. 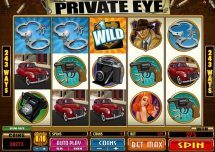 With 5 reels and 3 rows it features handcuffs, magnifying glasses and other paraphernalia associated with professional snoops. There are 1x Wilds on all reels and 2 bonus features to be landed. The first is a pick-me triggered by 3 Bonus symbols on reels 1, 2 and 3. 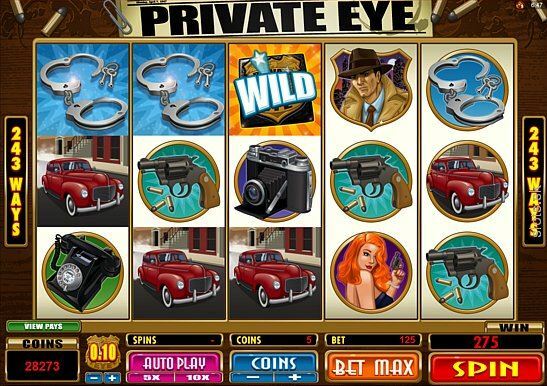 Select clues for cash until the phone rings to end the game. 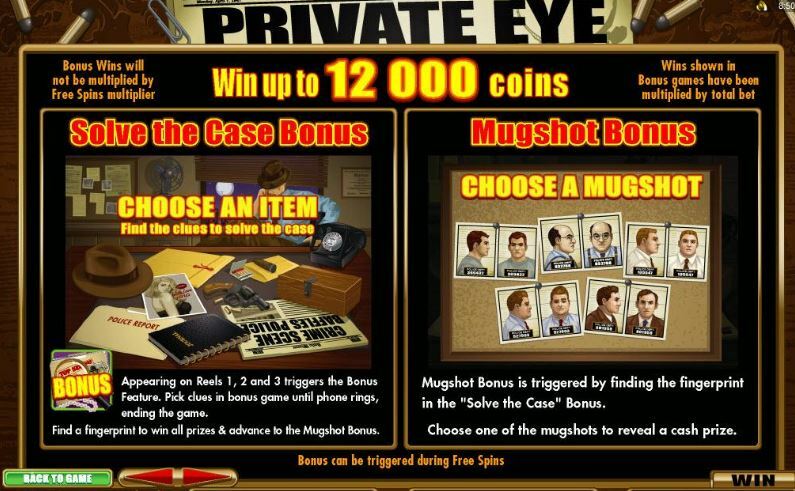 If you find the fingerprint you then advance to the Mugshot Bonus where you make a final choice for a bigger prize. 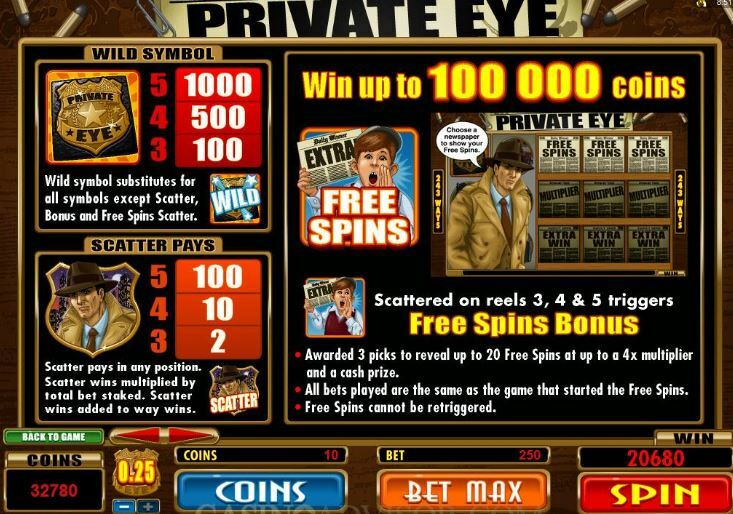 Three scatters anywhere will offer another pick-me whereby you get 3 choices which reveal free spins and a multiplier. 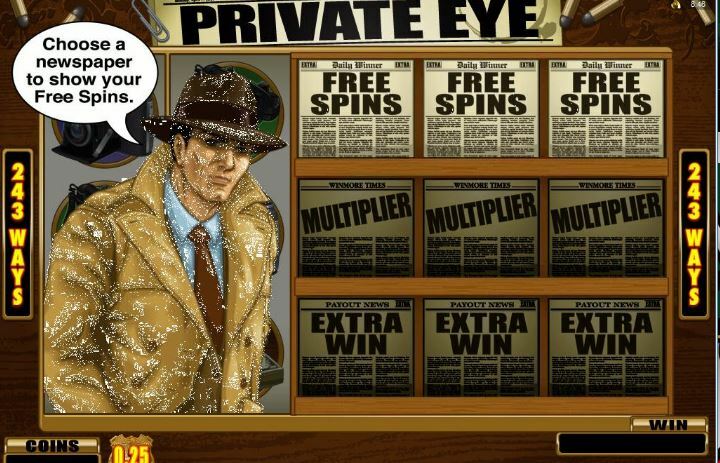 You can get 5 to 20 spins and up to 4x multiplier. No retrigger possible. RTP is 96.50%.